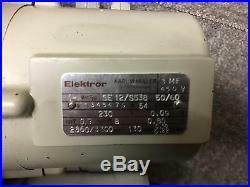 Elektror SE12/S538 230V 0.09kW 50/60Hz Vacuum Pump. This item was pulled from a working environment. 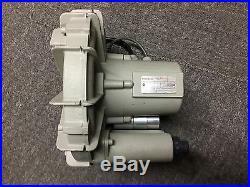 The item "Elektror SE12/S538 230V 0.09kW 50/60Hz Vacuum Pump" is in sale since Monday, June 12, 2017. 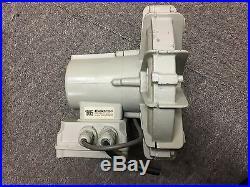 This item is in the category "Business, Office & Industrial\Hydraulics, Pneumatics, Pumps & Plumbing\Pumps & Pump Accessories\Other Pumps". The seller is "flyingfroeli" and is located in Ellesmere Port. This item can be shipped worldwide.